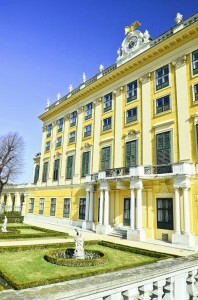 The Schönbrunn Palace was erected in the late 17th Century by Johann Bernard Fischer von Erlach on the land where the Katterburg Mansion once stood. The Palace was used by the Hapsburg family as a residence, summer home, and/or hunting lodge until their downfall in 1918. The land on which the Schönbrunn Palace and Gardens resides was fenced in by the Holy Roman Emperor Maximilian II in 1569 and game was brought in for the Royal family and the court to hunt. The Palace has been witness to many events including a concert given in 1772 by 6 year-old Wolfgang Amadeus Mozart. Located on the grounds is the Tiergarten Schönbrunn, the world’s oldest zoo. In 1752, the Royal family decided to add to their exotic animal collection, constructing an imperial menagerie, which was later opened it to the public in 1779. At its peak, the Tiergarten Schönbrunn was home to over 3,500 animals, but the zoo was almost forced to close several times. During World War I and II, bombings and a lack of food threatened the animal population and in the 1980’s, the Tiergarten Schönbrunn was almost forced to close due to lack of funding. Fortunately, the zoo was privatized in 1992 and in 2002 the ‘Vienna Zoo’ celebrated its 250th anniversary! 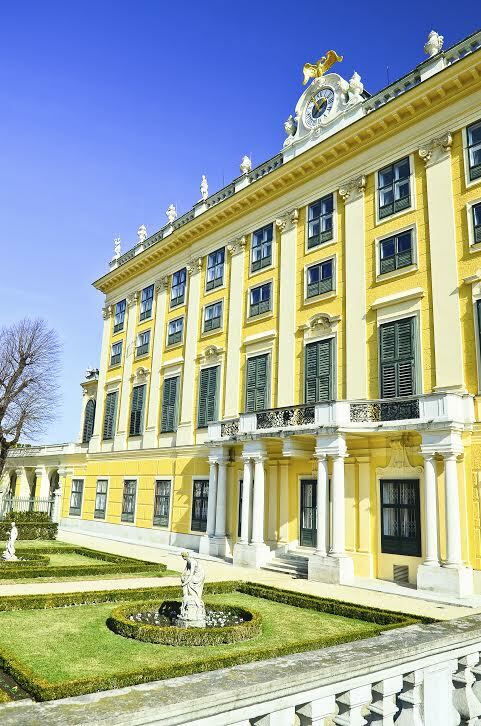 Nowadays, the Schönbrunn Palace is owned by the Republic of Austria and run by a non-profit organization created solely to run, restore, and preserve this magnificent Palace and its grounds. It is still used to this day when important heads of States come to Austria for official visits. What are you waiting for? Book your European excursion today! Just because you want to travel Europe cheap doesn’t mean you have to settle for a second rate vacation. AESU, the most trusted name in travel, offers unique, exciting travel programs for college students and young professionals at affordable rates. Join AESU for the excitement and European adventure of a lifetime. If you have any questions about how to Travel Europe without breaking the bank, please contact AESU by calling 800-638-7640 or fill out the contact form found on our website. And don’t forget to check out all of our great Travel Tips, especially the Travel Tips for Europe, before you head overseas. This entry was posted on Thursday, June 12th, 2014	at 2:31 pm	. You can follow any responses to this entry through the RSS 2.0	feed. Both comments and pings are currently closed.